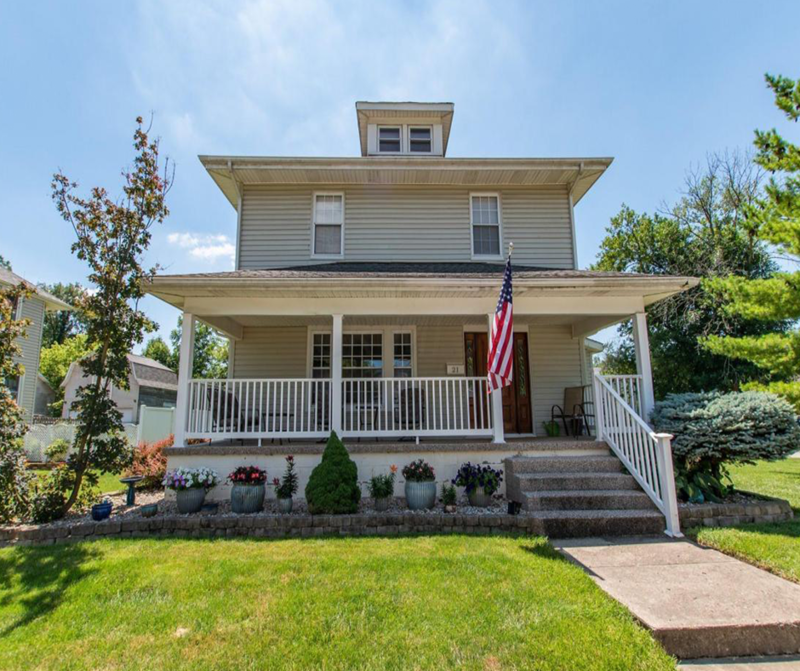 NEW LISTING & OPEN HOUSE – 21 Columbia Avenue London, OH 43140! Welcome to this wonderfully updated London home situated near Cowling Park and London Pool. Walk up through the pristine landscape to a full Nature Stone front porch and beautiful front door. The entryway greets you with an open concept layout and hardwood floors. A first-floor owner’s bedroom accompanied by a large walk-in closet. The kitchen includes laminate counter-tops and stainless steel appliances purchased in 2017. The second floor includes four more bedrooms and a second bathroom. Lastly walk outside onto the back porch which oversees the large double-lot. The double-lot additionally contains a fire pit and detached two car garage. Other updates to the house include high-efficiency Trane furnace and air conditioner (2016) and new basement sump system (2018). Click here to see more!